High performance textiles represent one of the most dynamic sectors of the international textile and clothing industry. With contributions from leading experts in the field, this book provides an important overview of key developments in the field. 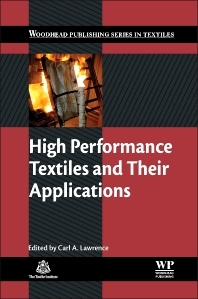 Chapters cover the use of high performance textiles in such areas as protective clothing, heat and fire protection, medicine, civil engineering and the energy sector. This book is aimed at textile technologists, fibre scientists, textile engineers and textile researchers within academia.